Scott has been selling residential and commercial real estate throughout the greater Los Angeles area over the past 10 years with Coldwell Banker. 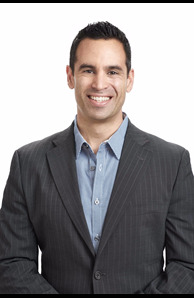 Scott prides himself on his personal service and attention to his clients every need. His experience includes selling; luxury residential homes, high rise condominiums, multi-family apartments, office/retail leasing & triple net investments to name a few. Thus resulting in over $100,000,000 in total sales volume. This vast understanding allows Scott to confidently handle complex transactions, making him your luxury home and investment authority. Scott's understanding of his client's needs, mastery of today's technology and proven marketing strategies have catapulted him to the distinguished Coldwell Banker President's Circle, which represents the top 6% of agents internationally. In today's volatile real estate economy, now more than ever...who you work with matters!